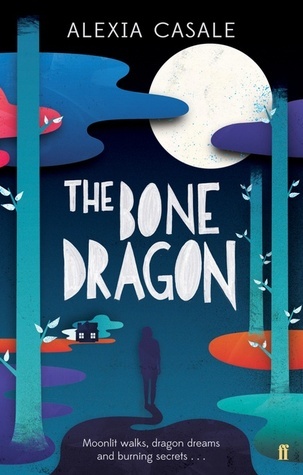 I can say that without reservation, The Bone Dragon by Alexia Casale is my *favourite* book that I've read all year. I loved it wholly and completely and I absolutely fell under its spell. I thought it was emotional and beautiful and I really do recommend that you go out and immediately and read it. 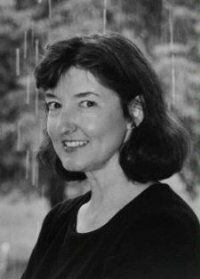 When Michelle invited me to guest-post on her wonderful blog, she gave me a plethora of topics to choose from, but I kept coming back to this one as I’ve wanted to do a post for ages about the author who inspires me most as a writer: Barbara Kingsolver. If you haven’t read any of her books, do. My favourite is Animal Dreams, though I’ve yet to read them all. It would be oh so easy to rush through them, marvelling… but I feel that if I read them all together I’d miss too much, not just as a reader but as a writer. Every so often, when I feel I’ve grown as a writer, I let myself read a new Kingsolver book, partly as a reward and partly to mark a new stage in the development of my writing. Plus Kingsolver isn’t a fast writer so if I read all her books in one go there would be long stretches of time when I’d be bereft of new ones. So I save them up for when I need one. Our chairs were close enough together so that I could have reached over and squeezed Loyd’s hand, but I didn’t do that. This speaks so eloquently about what matters to me as a writer; subtext is a huge part of my writing because I think literature is most powerful when the realisation of what’s going on – in the plot, between characters, in the world of the story – comes from reader. In this simple sentence, Kingsolver tells us – without telling us in so many words – not just what is happening, but what is not happening between the protagonist and her love interest. And in telling us what is not happening, she tells us about what people fail to do: what they could do and choose not to. There’s so much in this one sentence about how relationships both thrive and falter not just because of our actions, but our omissions. It’s a masterful piece of writing in terms of craft and its understanding of what relationships are. And it’s all between the lines of what, on the surface, is the most ordinary and un-flowery of sentences. In her 2013 Hay Book Festival session (televised by Sky Arts, if you missed it! ), Kingsolver said that the first line of her books usually tells the whole story… though it’ll take until the end of the book to understand how and why that’s the case. This is true for a lot of writers. It’s something I did instinctively in my new book (entitled ‘MoB’ until it gets agent and editor approval), though not in The Bone Dragon. His girls are curled together like animals whose habit is to sleep underground, in the smallest space possible. I can’t say I feel this sums up the book as a whole, though when you read on, the rest of the powerful first scene does. A slice of white moon from the window divides their bodies deeply into light and shadow, but not one from the other. … Hamimeda’s bed is still made. In the morning she’ll rumple it so he’ll believe she slept by herself, and then the girls will make it again. Their labours at deceiving him are as careful as surgery. …. Tonight he would see cheeks and eyelids stained bright yellow from marigold pollen. He’s spent a lifetime noticing small details from a distance. If you want a master class in writing from different narrative perspectives, read Kingsolver. In Animal Dreams, the protagonist narrates the majority of the book in the first person. Here and there – as in this first scene – her father is the focal point of view. But though the father’s sections are in the third person, they’re so vivid, so immediate you feel the ‘I’ of the narrator voice... And the fact that this ‘I’ is never delivered tells you immediately what sort of a man he is: powerful, dominant, distant… And yet fully aware of this devastating character flaw, as the last line shows: it’s a beautiful, sparse statement of the ways in which people can sometimes see their own faults without having any sense that they are surmountable. Yet again, Kingsolver tells us all about what is not happening between people but could if only we were stronger, better versions of ourselves. When he gets them home they sit hugging each other on the davenport, wrapped in the black-and-red crocheted afghan. They won’t stop shaking. They want to know if the baby coyotes died. If animals go to heaven. He has no answers. “We tried to put them in the paper bag we used for the prickle pears, but it fell all apart.” The tears steam out until the afghan is wet and he thinks there will be no more fluid in them to run the blood cells through their veins. He makes them drink orange juice. God, why does a mortal man have children? It is senseless to love anything this much. Here is all the father’s emotion, held inside, and we see that the critical distance isn’t between him and his daughters but between him and his own emotions: love represented through orange juice, not touch. Kingsolver is just as brilliant at presenting the truth of people and relationships through humour, making us laugh and then realising than perhaps we should be crying. Emelina and I graduated from high school in the same year, 1972. Under my picture in the yearbook it said, “Will Go Far,” and under Emelina’s it said, “Lucky in Love.” You could accept this as either prophecy or a bad joke. I’d gone halfway around the world, and now lived three-quarters of a mile from the high school. Emelina had married Juan Teobaldo Domingos the same June we graduated. Now J.T. worked for the railroad and, as I understood it, was out of town most of the time. She said it didn’t bother her. Maybe that’s as lucky as love gets. Even when Kingsolver just seems to be going for a laugh, she’s funny in a way that tells us important things about her characters: about people the world over. “No, but I know where they are,” Glen declared. All told, probably more women have lost a child from this world than haven’t. Most don’t mention it, and they go on from day to day as if it hadn’t happened, and so people imagine that a woman in this situation never really knew or loved what she had.But ask her sometime: how old would your child be now? And she’ll know. Alexia has had her heart set on being a writer since before she can remember so naturally she has degrees in Social & Political Sciences and Educational Psychology/Technology from Cambridge, and a PhD and teaching qualification from Essex. She has worked as a charity trustee, West End script-critic, executive editor of a human rights journal and on a Broadway musical… among other things. A dual British/American citizen with a large Italian family, she lives in the Sibillini mountains and the Chilterns-based domicile of her feline patron. She’s not sure which side of the family her dyslexia comes from, but is resigned to the fact that madness runs in both. She loves cats, collects glass animals and interesting knives, and has always wanted a dragon. Thank you, Alexia! 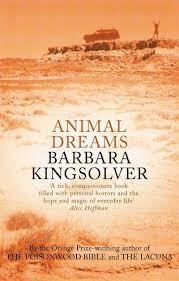 Have you read Barbara Kingsolver? Who inspires you as a writer?